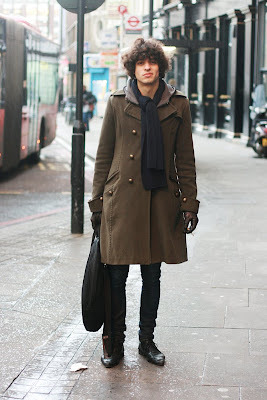 my sister has this exact coat its from TOPSHOP!! clauida, maybe you should launch an appeal? haha, here we go: to the gorgeous guy on the picture: there is this amazing party tonight, your appearance would be much appreciated. Check out the blog for more info! hahaha I know this guy he's Arnau, from Barcelona, yeah he's really cute!